This is the latest accepted revision, accepted on 15 August 2014. 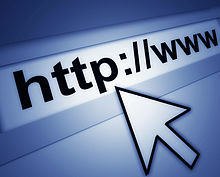 URL beginning with the HTTP scheme and the WWW domain name label. The term HyperText was coined by Ted Nelson in 1965 in the Xanadu Project, which was in turn inspired by Vannevar Bush's vision (1930's) of the microfilm-based information retrieval and management "memex" system described in his essay As We May Think (1945). Tim Berners-Lee and his team are credited with inventing the original HTTP along with HTML and the associated technology for a web server and a text-based web browser. Berners-Lee first proposed the "WorldWideWeb" project in 1989 — now known as the World Wide Web. The first version of the protocol had only one method, namely GET, which would request a page from a server. The response from the server was always an HTML page. An HTTP session is a sequence of network request-response transactions. An HTTP client initiates a request by establishing a Transmission Control Protocol (TCP) connection to a particular port on a server (typically port 80; see List of TCP and UDP port numbers). An HTTP server listening on that port waits for a client's request message. Upon receiving the request, the server sends back a status line, such as "HTTP/1.1 200 OK", and a message of its own. The body of this message is typically the requested resource, although an error message or other information may also be returned. Requests a representation of the specified resource. Requests using GET should only retrieve data and should have no other effect. (This is also true of some other HTTP methods.) The W3C has published guidance principles on this distinction, saying, "Web application design should be informed by the above principles, but also by the relevant limitations." See safe methods below. Returns the HTTP methods that the server supports for the specified URL. This can be used to check the functionality of a web server by requesting '*' instead of a specific resource. Converts the request connection to a transparent TCP/IP tunnel, usually to facilitate SSL-encrypted communication (HTTPS) through an unencrypted HTTP proxy. 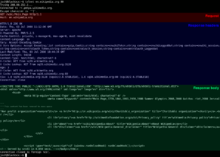 See HTTP CONNECT Tunneling. Some of the methods (for example, HEAD, GET, OPTIONS and TRACE) are, by convention, defined as safe, which means they are intended only for information retrieval and should not change the state of the server. In other words, they should not have side effects, beyond relatively harmless effects such as logging, caching, the serving of banner advertisements or incrementing a web counter. Making arbitrary GET requests without regard to the context of the application's state should therefore be considered safe. However, this is not mandated by the standard, and it's explicitly acknowledged that it's impossible to guarantee such a thing. Methods PUT and DELETE are defined to be idempotent, meaning that multiple identical requests should have the same effect as a single request (note that idempotence refers to the state of the system after the request has completed, so while the action the server takes (e.g. deleting a record) or the response code it returns may be different on subsequent requests, the system state will be the same every time). Methods GET, HEAD, OPTIONS and TRACE, being prescribed as safe, should also be idempotent, as HTTP is a stateless protocol. In contrast, the POST method is not necessarily idempotent, and therefore sending an identical POST request multiple times may further affect state or cause further side effects (such as financial transactions). In some cases this may be desirable, but in other cases this could be due to an accident, such as when a user does not realize that their action will result in sending another request, or they did not receive adequate feedback that their first request was successful. While web browsers may show alert dialog boxes to warn users in some cases where reloading a page may re-submit a POST request, it is generally up to the web application to handle cases where a POST request should not be submitted more than once. Note that whether a method is idempotent is not enforced by the protocol or web server. It is perfectly possible to write a web application in which (for example) a database insert or other non-idempotent action is triggered by a GET or other request. Ignoring this recommendation, however, may result in undesirable consequences, if a user agent assumes that repeating the same request is safe when it isn't. Also, the standard reason phrases are only recommendations and can be replaced with "local equivalents" at the web developer's discretion. If the status code indicated a problem, the user agent might display the reason phrase to the user to provide further information about the nature of the problem. The standard also allows the user agent to attempt to interpret the reason phrase, though this might be unwise since the standard explicitly specifies that status codes are machine-readable and reason phrases are human-readable. HTTP status code is primarily divided into five groups for better explanation of request and responses between client and server as named: Informational 1XX, Successful 2XX, Redirection 3XX, Client Error 4XX and Server Error 5XX. In HTTP/0.9 and 1.0, the connection is closed after a single request/response pair. In HTTP/1.1 a keep-alive-mechanism was introduced, where a connection could be reused for more than one request. Such persistent connections reduce request latency perceptibly, because the client does not need to re-negotiate the TCP 3-Way-Handshake connection after the first request has been sent. Another positive side effect is that in general the connection becomes faster with time due to TCP's slow-start-mechanism. HTTP 2.0 – currently being worked on by the IETF's Hypertext Transfer Protocol Bis (httpbis) working group. ^ a b c d Fielding, Roy T.; Gettys, James; Mogul, Jeffrey C.; Nielsen, Henrik Frystyk; Masinter, Larry; Leach, Paul J.; Berners-Lee (June 1999). Hypertext Transfer Protocol -- HTTP/1.1. IETF. RFC 2616. https://tools.ietf.org/html/rfc2616. ^ "Overall Operation". p. 12. sec. 1.4. RFC 2616. https://tools.ietf.org/html/rfc2616#section-1.4. ^ "HTTP/1.1". Webcom.com Glossary entry. Retrieved 2009-05-29. ^ Berners-Lee, Tim; Fielding, Roy T.; Nielsen, Henrik Frystyk. "Method Definitions". Hypertext Transfer Protocol -- HTTP/1.0. IETF. pp. 30-32. sec. 8. RFC 1945. https://tools.ietf.org/html/rfc1945#section-8. ^ "Method Definitions". pp. 51-57. sec. 9. RFC 2616. https://tools.ietf.org/html/rfc2616#section-9. ^ "POST". p. 54. sec. 9.5. RFC 2616. https://tools.ietf.org/html/rfc2616#section-9.5. ^ "PUT". p. 55. sec. 9.6. RFC 2616. https://tools.ietf.org/html/rfc2616#section-9.6. ^ Khare, Rohit; Lawrence, Scott (May 2000). Upgrading to TLS Within HTTP/1.1. IETF. RFC 2817. https://tools.ietf.org/html/rfc2817. ^ Dusseault, Lisa; Snell, James M. (March 2010). PATCH Method for HTTP. IETF. RFC 5789. https://tools.ietf.org/html/rfc5789. ^ "Method". p. 36. sec. 5.1.1. RFC 2616. https://tools.ietf.org/html/rfc2616#section-5.1.1. ^ "UrlScan Security Tool". Security TechCenter. Microsoft. Retrieved 15 Jul 2012. ^ "TRACE". pp. 56-57. sec. 9.8. RFC 2616. https://tools.ietf.org/html/rfc2616#section-9.8. ^ "Status-Line". p. 39. sec. 6.1. RFC 2616. https://tools.ietf.org/html/rfc2616#section-6.1. ^ a b "HTTP Message". p. 31. sec. 4. RFC 2616. https://tools.ietf.org/html/rfc2616#section-4. ^ Luotonen, Ari; Franks, John (February 22, 1996). Byte Range Retrieval Extension to HTTP. IETF. I-D draft-ietf-http-range-retrieval-00. https://tools.ietf.org/html/draft-ietf-http-range-retrieval-00. ^ Nottingham, Mark (October 2010). Web Linking. IETF. RFC 5988. https://tools.ietf.org/html/rfc5988. Wikimedia Commons has media related to HTTP. This page was last modified on 15 August 2014 at 02:55.